When you reach the vicinity of your garage and press the remote of your garage, the one thing you expect to happen is, your garage door should open up with ease, firmly and silently. But if that does not happen, then you’ll need professional automatic garage door services for sure who can provide necessary repairs and make your garage door functional again. All types of garage doors need regular maintenance, as there is a variety of problems that can occur with different types of garage doors. Many people think that it is all right to just leave their garage door as it is, and it will continue to operate as it did, when it was originally installed, but regrettably, that is not the case. Garage door repair is available for all the leading garage door types, which includes sectional or panelled doors, tilting doors and roller doors. Garage door motors, in the long run, will need some type of upkeep or repairs and ultimately replacement like many of the mechanical devices that are used routinely. When it comes to garage motor replacement, a reputed garage door servicing company will pick the finest garage motor for the replacement depending on whether you have a solo or dual spaced garage, also has to consider the age of your garage door. Suppose you have a garage door that requires being manually opened by hand, you’ll certainly know how tedious it is. When it’s raining or it’s dark and cold or after a hectic day at work, you reach home tired, in all these circumstances an automatic garage door is both handy and practical. An automatic garage door renders you with extra security as well as handiness at the push of a button, facilitating you to open the door, enter the premises and close the door, all without getting out of your car. A garage door opener is a motorised device, which opens and shuts garage doors. Many are operated by switches that are fixed on the garage walls and through remote controls that the owner carries. 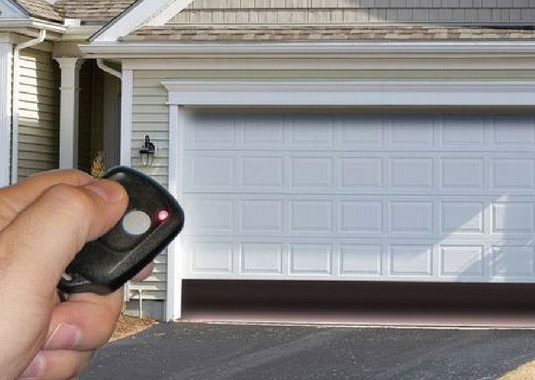 Remote control for the garage door is a convenient and practical solution. Garage door remotes trigger fewer troubles, are effortless to repair, and can be replaced at a modest cost. The garage door is something that is often used but hardly noticed by many home and business owners. Those with busy families or flourishing businesses may not even understand how frequently they open and close their garage doors or how much they depend on them on a day-to-day basis. Although your garage door motor operates now, you should bear in mind that none of your garage door components is made to endure eternally. Sooner or later, you will require contacting a specialist for garage door maintenance and repair services.